1. 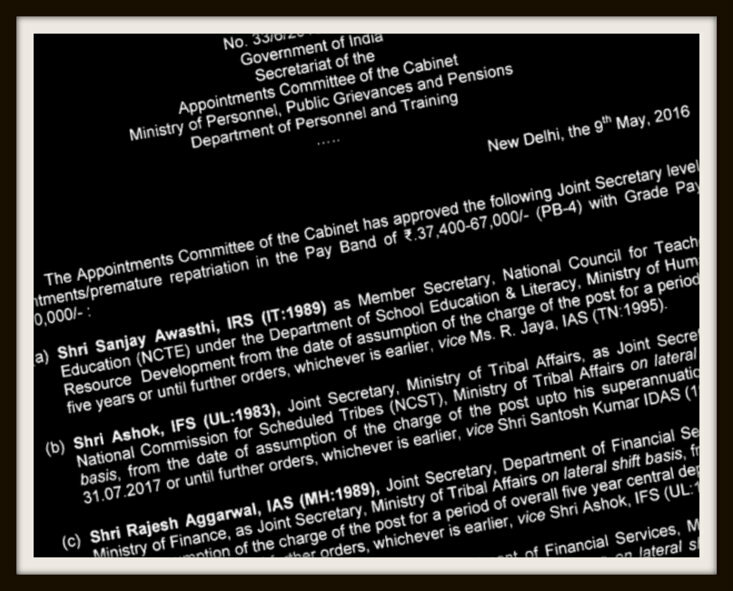 Rajesh Aggarwal, 1989 batch Maharashtra cadre IAS and joint secretary in the department of financial services, has been laterally shifted as joint secretary in tribal affairs ministry. 2. 1992 batch IDAS officer Suchindra Mishra has been appointed as joint secretary in the department of financial services under the ministry of finance. 3. 1990 batch IRS-IT officer Madnesh Kumar Mishra has been appointed as joint secretary in the department of financial services under the finance ministry. 4. 1992 batch IES officer Ms Anna Roy, now joint secretary in the department of financial services, has been shifted to NITI Aayog as Adviser (joint secretary level), Knowledge and Innovation Hub (KIH). 5. 1988 batch Indian Postal Service officer Ms Anju Nigam has been appointed as joint secretary in the information and broadcasting ministry. 6. 1990 batch AGMUT cadre IAS Arun Baroka has been appointed as joint secretary in the ministry of drinking water and sanitation. 7. 1987 batch Madhya Pradesh cadre IPS Sudhir K Saxena has been appointed as joint secretary in the ministry of home affairs (MHA). 8. 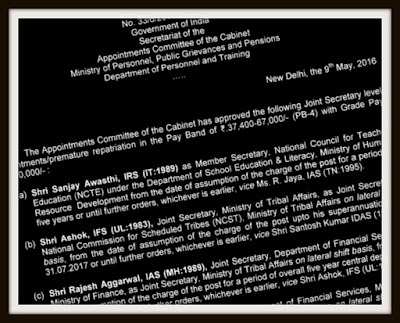 1990 batch Indian Audit and Accounts Service officer Jayant Sinha who was with 7th Central Pay Commission, has been appointed as joint secretary in the defence ministry. 9. 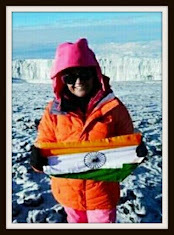 1988 batch Indian Audit and Accounts Service officer Meenakshi Sharma has been appointed as Additional Director General in the ministry of tourism. 10. Joint secretary in the labour ministry and 1985 batch IRSEE officer G Venugopal Reddy has been prematurely repatriated to his parent cadre. 11. 1987 batch Haryana cadre IAS Rajiv Arora who is now a joint secretary in NATGRID under the ministry of home affairs has been shifted as joint secretary in the labour ministry. 12. Sanjay Awasthi, 1989 batch IRS-IT officer, has been appointed as Member Secretary in National Council for Teacher Education (NCTE) under the department of school education and literacy, ministry of human resource development. 13. Ashok, 1983 batch Uttarakhand cadre Indian Forest Service officer and joint secretary in the ministry of tribal affairs has been appointed as joint secretary in National Commission for Scheduled Tribes (NCST) under the ministry of tribal affairs. 14. CSS officer RK Mitra has been appointed as joint secretary in the ministry of home affairs (MHA) up to his superannuation on March 31, 2018 or until further orders, whichever is earlier, in place of V Vualnam, 1992 batch Manipur cadre IAS. 15. Kalpana Awasthi, 1990 batch UP cadre IAS and joint secretary in the department of industrial policy and promotion (DIPP) has been appointed as Director General, National Productivity Council (NPC). 16. Sanjeeb Kumar Patjoshi, 1991 batch Kerala cadre IPS, has been appointed as joint secretary in ministry of Panchayati Raj.